Machine learning has a lot of buzz around it and business-leaders are eager to hire talent with experience in the field. But what does ‘machine learning’ actually mean? And if someone has it listed on their resume, how do you know if they are a good fit for solving business problems? What most people don’t realize when they’re talking about machine learning, is that there are actually two disciplines. The term ‘machine learning’ can refer to either machine learning research or to applied machine learning, but people use the same term for both things, and it creates confusion. If businesses don’t understand that there is a difference, they can experience loads of problems. These words are spoken by Cassie Kozyrkov, chief decision scientist at Google Cloud, who will be opening our Machine:Learners track at this year’s TNW Conference. Machine learning, Kozyrkov explains, is commonly misunderstood. Researchers have been building machine learning algorithms for years, and the tech has now evolved to a stage where businesses can use it as a tangible tool – if they know how. According to Kozyrkov, applied machine learning can help businesses make significantly better decisions. But the field is being neglected by standard machine learning programs. If there is someone working at your company who does understand the difference, that’s probably a happy accident rather than a result of intentional training. Which is exactly what Kozyrkov wants to change. As chief decision scientist at Google, Kozyrkov is all about decision making. With an interdisciplinary background in scientific fields ranging from neuroscience, psychology, statistics, machine learning, business, and economics — Kozyrkov studies how we make decisions and how we can structure and improve decision-making with data and machine learning. Many people think of good decision-making as a skill required to meet your goals and to get ahead of the competition, but there’s more to it. Decisions affect the world around us. If individuals and businesses aren’t skilled in making good decisions, they risk having an unintended negative impact on everything around them. At the moment, clever and timely decision-making is a skill that some people naturally possess, but isn’t yet being used as a smart business tool. According to Kozyrkov, this leaves room for improvement. She is the innovator behind the new practice at Google: decision intelligence engineering, an application-focused discipline that augments data science with best practices from the behavioral and managerial sciences. Decision intelligence engineering is designed to help teams follow a reliable process to diagnose opportunities and design their decision-making effectively. Kozyrkov has personally trained more than 15,000 engineers and leaders at Google in decision intelligence practices. But how does this connect to machine learning? At its core, machine learning is a way of making decisions with data. Kozyrkov sees applied machine learning as one of the major topics for decision intelligence. She has put a lot of effort into building procedures that anyone can follow to use machine learning for solving business problems safely and reliably. Currently, most university machine learning courses focus on creating the algorithms and training neural networks. This is essential for those who are dreaming of a career in research, but it’s not a skill that everyone using machine learning needs to have. Applied machine learning is about using an existing algorithm to solve your particular business problem and drive its success. It shouldn’t be necessary to build algorithms from scratch for every business any more than a bakery shouldn’t need to build its own oven. Yet businesses should know how to apply existing machine learning algorithms to solve their specific problem. This is what Kozyrkov is most passionate about. The reality today, Kozyrkov explains, is that leaders are not fully realizing what skills job candidates actually have. Commonly, they hire someone with a Ph.D. in machine learning research and hope that this person, who has been trained to develop algorithms, can also transcend that knowledge into solving tangible business problems. This is where decision intelligence engineering comes in, according to Kozyrkov. Decision intelligence can provide the knowledge that is necessary for optimal decision-making, including building machine learning solutions. Applied machine learning is an area that requires a lot more participation from decision-makers than most people realize. With the structure provided by decision intelligence, even if a key decision-maker leaves a project, his or her knowledge and skills aren’t lost. The tools and procedures for making the best decisions already exist in a structured process. This does not mean that we can automate away the decision-maker so that problems can be solved without any human involvement. These tools augment our skills, they don’t replace them. 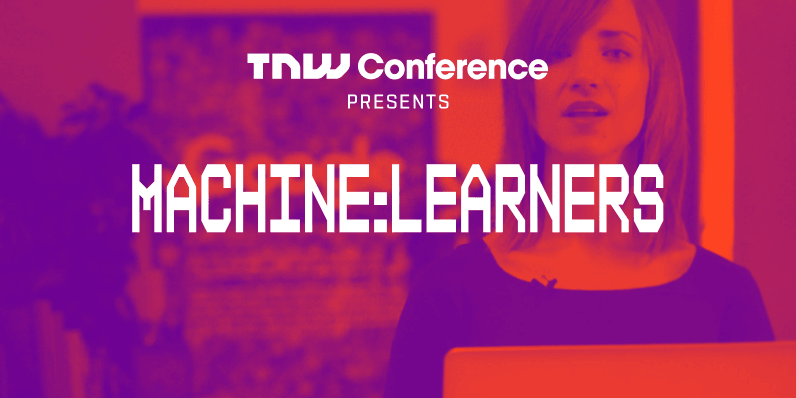 Come see Cassie Kozyrkov open the Machine:Learners track at the TNW Conference this May!